Kitchen Shaman was born in 2005 to showcase the talent, experience, and extensive food knowledge of Chef Johnna Gale. 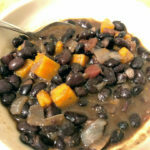 Chef Johnna started blogging as Kitchen Shaman to share recipes, food facts, cooking tips, and their unique perspective on the culinary world. 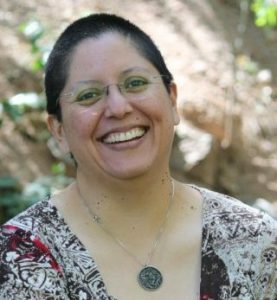 Over time, Kitchen Shaman began offering cooking classes and demonstrations in the Phoenix area and later, recipe development and culinary coaching – all while maintaining a full-time professional cooking career and publishing the blog. Kitchen Shaman, LLC & KitchenShaman.com are the joint undertakings of Chef Johnna Gale and D’Marie Delci. 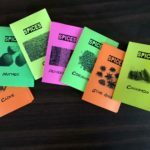 Chef Johnna Gale IS the Kitchen Shaman, spreading their passion for food and cooking to anyone who will listen, read, watch, or try their recipes. From an early life standing on a stool at age 5, cooking next to Grandma, Chef Johnna went on to spend two decades working at taco stands and delis, country clubs and top-rated restaurants, until they found themselves working for Iron Chef Jose Garces. 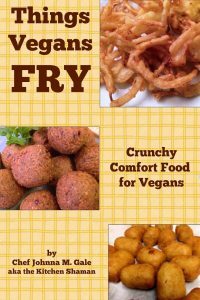 Chef Johnna has applied professional cooking techniques and a refined palate to creating delectable vegan recipes that are actually easy to make. 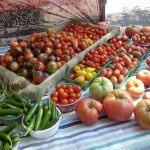 In addition to sharing those recipes in cookbooks and on the Kitchen Shaman website and newsletter, Chef Johnna loves to teach others how to Cook Vegan Like a ProTM thru classes, demos, and private coaching sessions. During their professional cooking career, Chef Johnna was introduced to the importance of mastering food history and knowledge. Driven to know more, they devoured books that contained immense amounts of food anthropology and history. That drive leads them to continuously search and read books and articles steeped in how food traveled around the world and how our cooking equipment has changed. 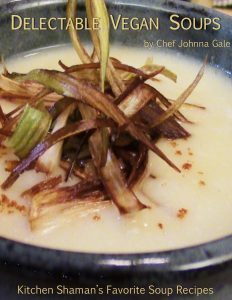 Chef Johnna brings this knowledge to KitchenShaman.com and shares that passion for the history of food in all their classes and demos. Video is an important tool for sharing in the digital age and it’s no surprise that Chef Johnna harnessed a college degree in film and video to reach a new audience on YouTube. 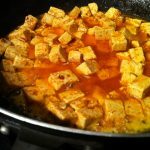 Starting with simple “how-to” videos and recipes, Kitchen Shaman’s channel has expanded their offerings to include interviews, demos and talks, and random videos featuring vegan food and events. 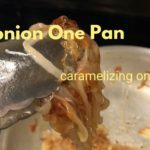 One of the videos was entered in a Food Network contest earning Chef Johnna a semi-finalist spot and a personal invitation to apply for Next Food Network Star. 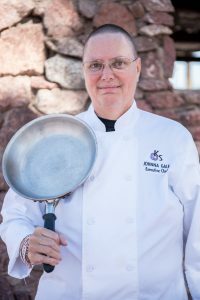 Chef Johnna Gale, AKA The Kitchen Shaman, is the founder, Executive Chef, and CEO of Kitchen Shaman, LLC. A writer from the time they could pick up a pencil, D’Marie edited their first magazine in junior high. They continued to write and edit in high school and college, winning several local and regional awards. After college, they founded and published a monthly newsletter for several years as well as compiling and publishing newsletters for several non-profit organizations. An early adopter of the internet, D’Marie was blogging before the word was coined. They maintained a variety of personal and group blogs throughout the early and mid 2000s before joining an internet marketing company. In this position, they were able to write hundreds of blog posts for a variety of industries as a ghostwriter. For several years they served as Content Manager and Editor, overseeing a portfolio of company-owned blogs as well as client properties, including social media. In addition to working on KitchenShaman.com and its related properties, D’Marie serves as Managing Editor of ArtisticNomads.com, ThingsVegansCook.com, and maintains both a professional website and a personal blog. They are also a freelance editor and writer. D’Marie Delci is the Managing Editor of KitchenShaman.com and the COO and co-founder of Kitchen Shaman, LLC.